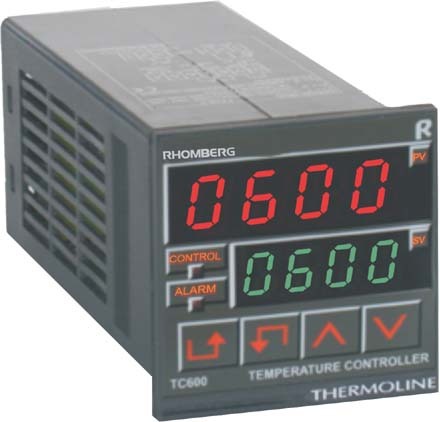 RTD (PT100), K or J thermocouple (ordering options). 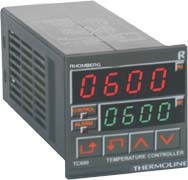 Selectable PID or ON/OFF control. A plug connector system that allows quick and easy connections. 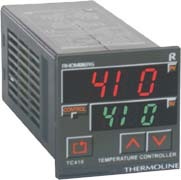 Dual display for simultaneous indication of both process temperature and setpoint. Multi-voltage (24 - 48 V AC/DC, or 85 - 265V AC/DC). Output control: relay or solid state drive (ordering options). 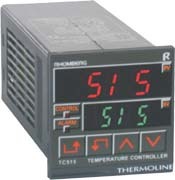 Programmable Trip and Recovery control mode to allow the independent control of two heating or cooling systems. Keypad programmable for use with 9 sensor types. A unique 16 hour timer for batch processing. 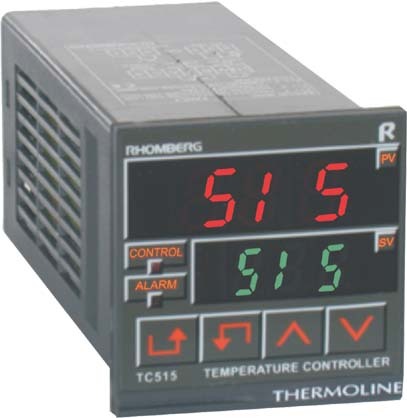 Two independently programmable temperature alarm levels can be used in 12 different modes and are selectable as an upper alarm level, a lower alarm level or both. 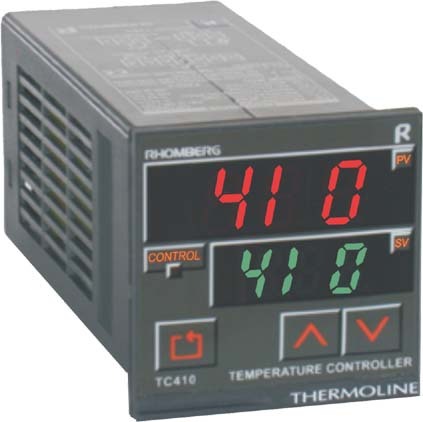 They can be configured to operate as absolute or deviation alarm levels. A programme lock security feature to prevent unauthorised adjustments by providing four levels of security. A process protection feature, which when enabled, confines the setpoint to a range determined by the two alarm levels and prevents accidental changing of the setpoint to outside the alarm limits. Sensor failure detection and display of out of range error conditions which enables quick diagnosis of process or sensor faults. Output control: relay, solid state drive, 4-20mA, 0-10V (ordering options).